Snag this Accent on the cheap from our Value Corner Collection.What is a value corner vehicle? 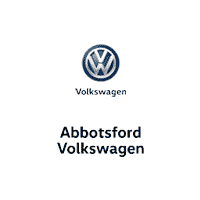 At Northland Volkswagen, we understand that some of our customers want a great bargain, and are willing to overlook a few imperfections to get one. Sometimes they just need an inexpensive second car to run errands and fetch groceries. Maybe they need a car to start the kids driving adventures in. Or some are just looking for a simple, cheap means to get around. 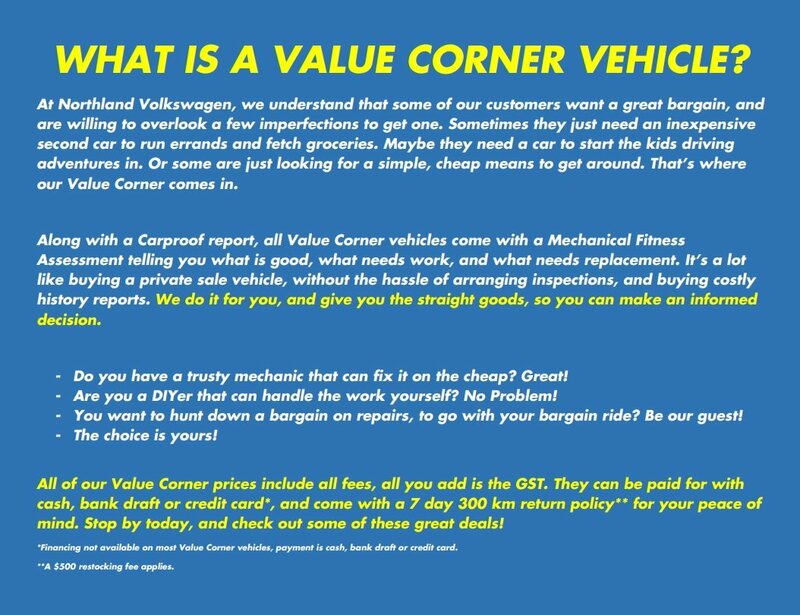 That's where our Value Corner comes in.Along with a Carfax report, all Value Corner vehicles come with a Mechanical Fitness Assessment telling you what is good, what needs work, and what needs replacement. It's a lot like buying a private sale vehicle, without the hassle of arranging inspections, and buying costly history reports. We do it for you, and give you the straight goods, so you can make an informed decision.- Do you have a trusty mechanic that can fix it on the cheap? Great!- Are you a DIYer that can handle the work yourself? No Problem!- You want to hunt down a bargain on repairs, to go with your bargain ride? Be our guest!- The choice is yours!All of our Value Corner prices include all fees, all you add is the GST. They can be paid for with cash, bank draft or credit card*, and come with a 7 day 300 km return policy** for your peace of mind. Stop by today, and check out some of these great deals!